Egypt’s Ministry of Civil Aviation announced on Tuesday that a decision to increase indirect airplane passenger charges by US$5 will be effective by November. The ministry added that these new charges come as part of the developmental plan for airport infrastructure, lounges, runways and construction projects, as well to improve logistic and entertainment services across Egypt’s airports. The Cairo International Airport has an immediate plan to develop and improve efficiency, as well as a medium-term plan that is currently in-progress and another set for the long-term, Chairman of Cairo Airport Company Ahmed Fawzy announced. In an interview with CNBC, Fawzy said that the plan will include raising the efficiency of Terminal 1 to increase capacity from six to ten million passengers, a step towards raising the annual total capacity of passengers to 30 million passengers. 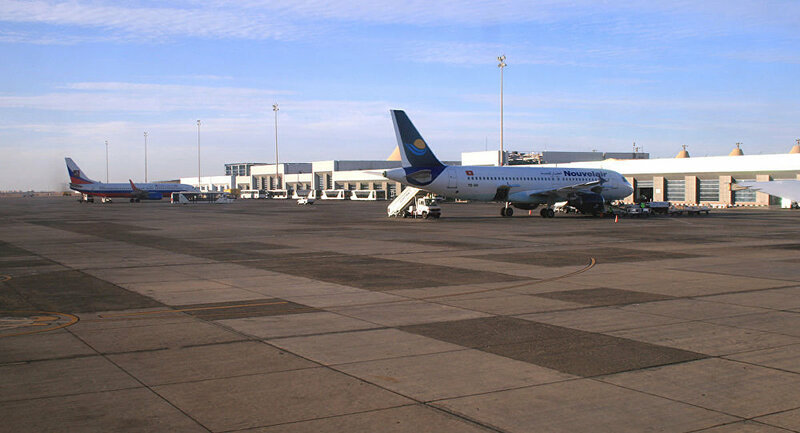 The total cost of upgrading Terminal 1 comes at LE760 million. Fawzy explained that the plan also includes a change of the carousel system and developing the airport in full to adapt to the latest global systems of airport management and operation.